Anyway, as I said, I’m back on the cooking train and enjoying making my favourite food: curries. And rather than cracking out my faithful old recipes, tried and tested, I’m making an effort to discover new flavours and techniques – jazz things up a bit. Coconut prawn curries, spicy stir-fried greens, fresh and zingy relishes with mint, coriander and lime. All of it healthy, quick and supremely tasty. 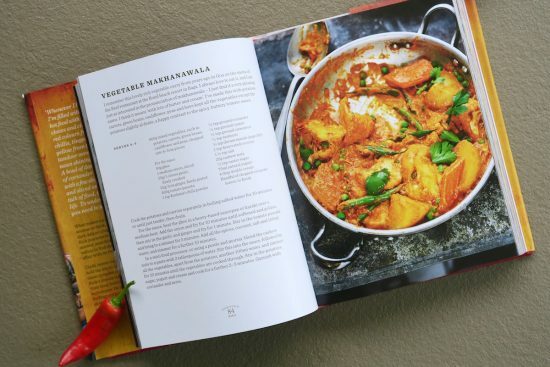 When it comes to Indian food I have three books that I like to turn to the most – I thought I’d give you a little run-down, in case you’re thinking of having a go! 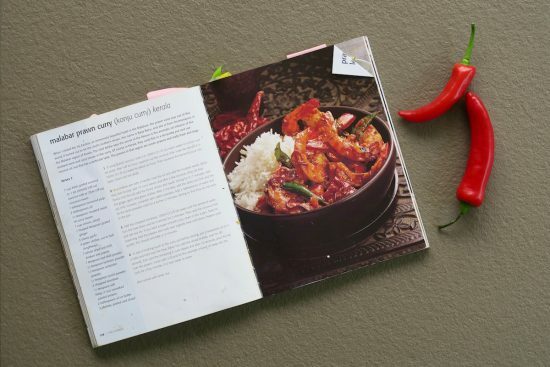 Madhur Jaffrey’s Curry Easy, £17.95 here. 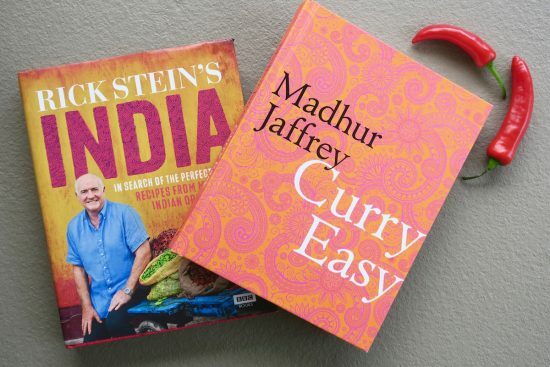 Rick Stein’s India (£17.68 here) is a proper visual feast. If you ever do that thing where you eat lunch on your own and read cookbooks to get excited about dinnertime (please tell me someone else does this?) then buy India to add to your appetite-whetting arsenal. There are so many fresh-looking, vibrant dishes in this book and the photography is just excellent – it’s like a stylish travel book! Favourite recipe? 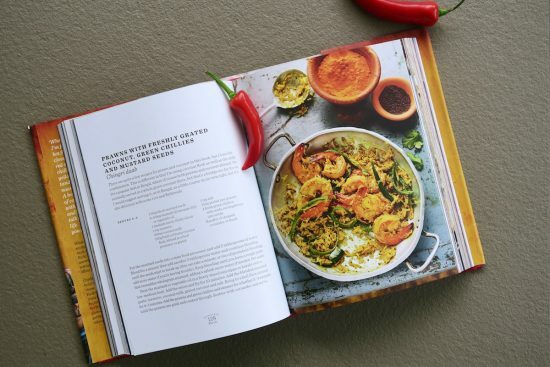 Prawn Curry with Green Chillis from Calcutta (page 136) though I feel as though I’ve eaten nearly everything in the book because I’ve stared at each page intensely about five hundred times. 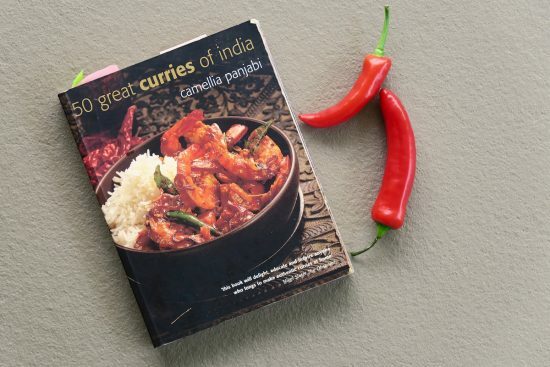 Camellia Panjabi’s 50 Great Curries of India (£8.48 here) is just an absolute cracker of a book and probably my number one curry “bible”. 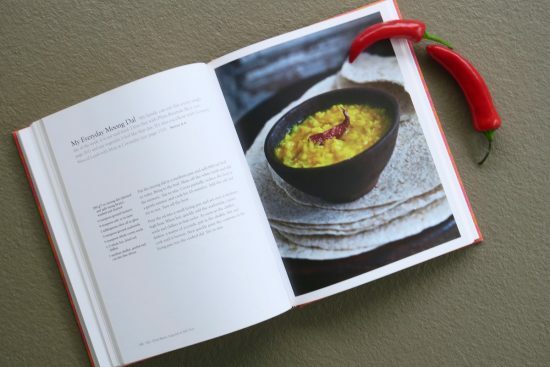 I’ve had it for about ten years, I think, and it has served me well through many a dinner party “feast” – there are whole sections on relishes and chutneys and dals, so you can easily create a colourful, varied spread of dishes. It’s just a small paperback but it’s packed full of information and gives you the basics for gravies and so on, if you want to be able to cobble together your own authentic-tasting dishes. Favourite recipe in this one? The Malabar Prawn Curry – I must have prepared this a hundred times or more. *disclaimer: I also stayed in my cousin’s flat when our short-term lets ran out and this had a very well equipped kitchen, just in case she’s reading!